Home / Articles / Is It Worth Filing A Motion Of Contempt? My wife recently moved out of state with our kids and I was considering filing a motion of contempt. But the clerk said it would be pointless since it would take longer to file than our next status conference date and would cost more. Is it worth filing or should I just bring it up at the next status conference? I do not practice law in your state. Therefore, I cannot inform you as to the specific laws of that state and can only provide you with general tips on divorce and family law. Typically, in order for a court to appropriately hear or address an issue, a motion must be filed. If she is indeed in contempt of an order for removing the children from the state, then your proposed plan of action is not unreasonable. 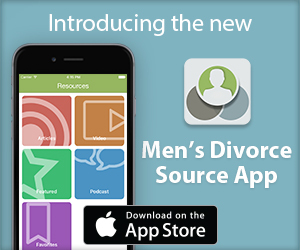 Furthermore, motions can be withdrawn if the judge addresses the issue or your wife returns to the state. With matters of child custody, it is better to err on the side of caution and enforce your parental rights. Regarding your question about final custody determinations, judges typically make these decisions based upon the best interest of the children – not temporary living arrangements. So I am unable to advise you as to how a judge will ultimately rule in your case. However, custody can always be modified based upon a change in circumstances or the welfare of the children, so no arrangement is ever set in stone. Remember, I am unable to provide you with anything more than general divorce tips, so please consult a domestic litigation attorney in your area to obtain specific advice as to the laws in your state and how they impact your potential case. 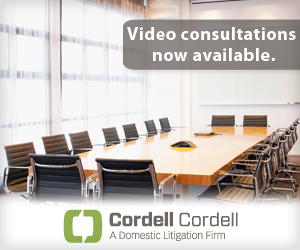 To arrange an initial consultation to discuss divorce rights for men with a Cordell & Cordell attorney, including Nevada divorce lawyer Elisabeth Flemming, contact Cordell & Cordell. ← How Do I Determine Proper Venue If My Ex Moves? Hey bud, be aware that the opposing attorney can state this is a “frivolous” motion. There is a section that allows for the opposing attorney to request that you pay attorney fees. Judges WILL allow this. Remember, your attorney will not jeopardize their living to REALLY represent you. There are so many “Rules Of Law” that lawyers can use. These may or not be related to what “based upon the best interest of the children” is your definition and the presiding judge definition. Good luck! Fight on!